Moscow, October 04, 2018 (SPS) -The Ministry of Foreign Affairs of Russia renewed on Tuesday, in a statement after the meeting that brought together the Head of the Foreign Relations Committee of the Frente POLISARIO, Mr. M'Hamed Jaddad with the special representative of the president of Russia for the Middle East and the countries of Africa, Deputy Minister of Foreign Affairs of Russia, Mikhail Bogdanova its support for a political solution acceptable to the parties to the conflict and in accordance with the relevant resolutions of the United Nations. According to the statement, Russia underlined the need to continue the efforts of the United Nations aimed at achieving an equitable solution that will end the conflict and contribute to improving the situation in the Maghreb region, while supporting the efforts of the PersonalEnvoy of the Secretary General of the United Nations for Western Sahara, Mr. Horst Köhler. 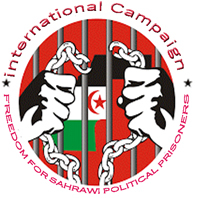 The statement also notes that the Saharawi Coordinator with the United Nations Mission for the Referendum in Western Sahara (MINURSO), presented in detail the current situation in Western Sahara, as well as the situation in the region in general, highlighting the need to revival the negotiations between the parties to find a solution to the dispute in accordance with the principles of international law.